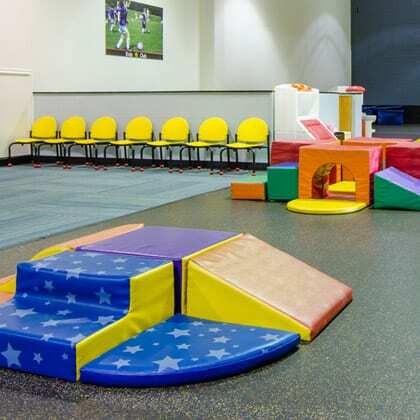 Our Maryland gyms provide onsite childcare services! Focus on your workout while we take care of your children in the Kids Club, fully supervised areas that are clean and secure. Located in a separate area of each gym. the Kids Club is filled with toys, games, and activities for every age. Call the Gold's Gym in Maryland nearest you for details about our convenient onsite childcare services. Surround yourself with the energy of others in the group fitness classes offered at our Maryland gyms. 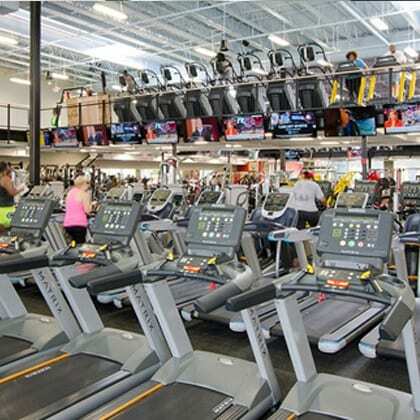 With 6 great locations, you'll find classes like Les Mills, Zumba, yoga, group cycle, and more. Featured daily throughout the week, our group exercise classes will propel you to a higher level of fitness in no time. Check out our group fitness schedules today! 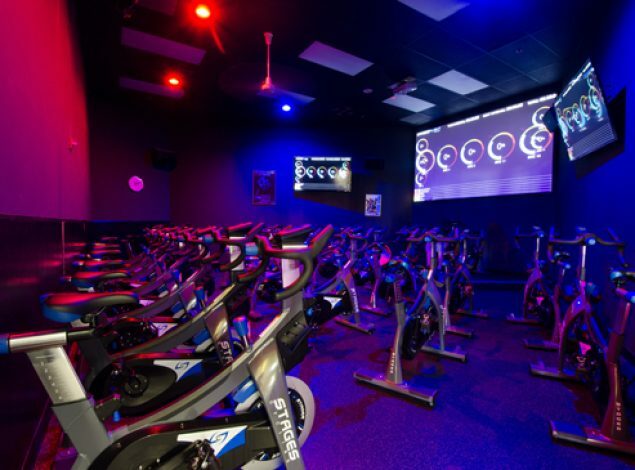 Get your fitness on the fast track with group cycling at our Maryland gyms! With classes like Les Mills SPRINT and RPM, these aerobic workouts challenge your endurance with high intensity pedaling following by brief periods of rest. Your metabolism will keep working long after class is over. Are you up for the challenge? 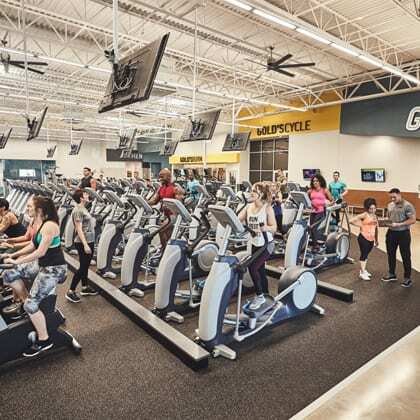 Find a group cycle class at the Gold's Gym in Maryland nearest you! Functional training ensures that your body is ready for the stresses and strains you encounter every day. With equipment like TRX, kettlebells, stability balls, and ropes, we'll help you train your core muscles to function as a unit of strength. 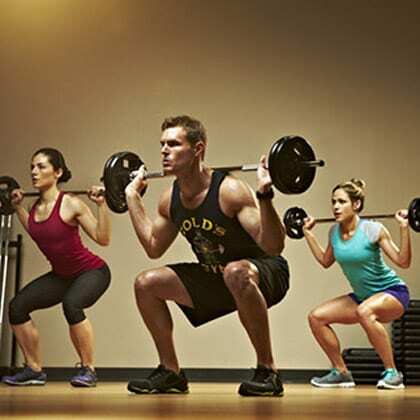 Stop by or call your nearest Maryland Gold's Gym and ask about functional training today! Each of our gyms in Maryland features a Cardio Cinema that is equipped with aerobic equipment, a big screen, and surround sound. 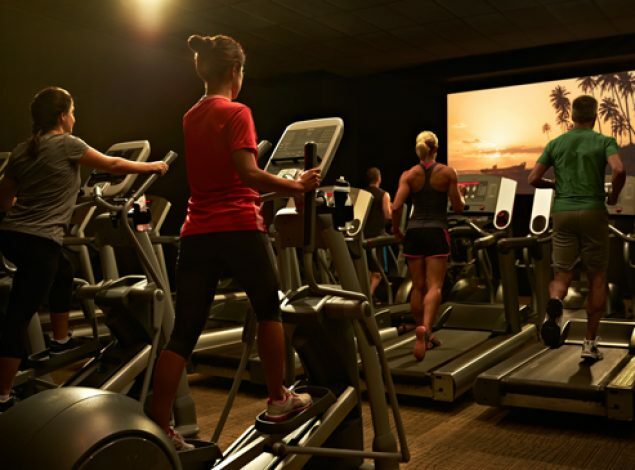 Enjoy a cinematic experience as you walk, run, or pedal your way to aerobic fitness on our selection of cardio machines like treadmills and bikes. You can rev your metabolism, burn calories, and tone muscles while you catch up on your must-see movie list! Many of our Maryland gym locations feature women's only areas, private sections that are tucked away from the co-ed areas. You'll find cardio, strength, and functional training equipment in the women's only area, where ladies can exercise comfortably and confidently. Welcome to the Best Gyms in Maryland! 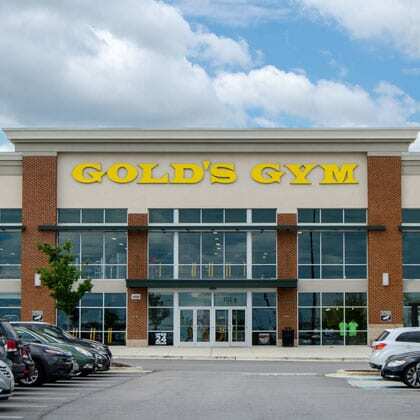 Gold’s Gyms are the premier fitness choice in Maryland. 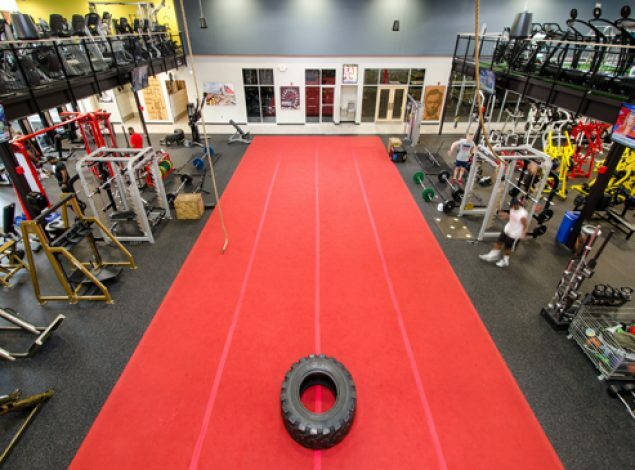 Modern, clean facilities with state of the art equipment and highly qualified trainers. 100’s of Energized group classes like Zumba, Les Mills, spinning and more are the most exciting in Maryland. 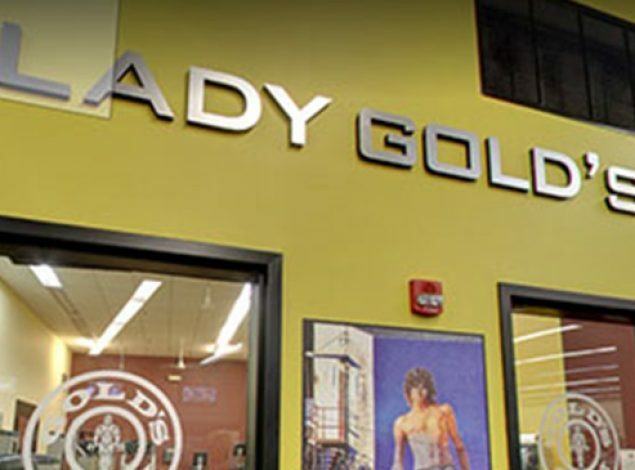 Complete women’s only gyms called “Lady Gold’s” inside every club. Boost your heart rate on one of our many state-of-the-art cardio machines, or sculpt and tone muscles with our ultramodern strength training equipment. 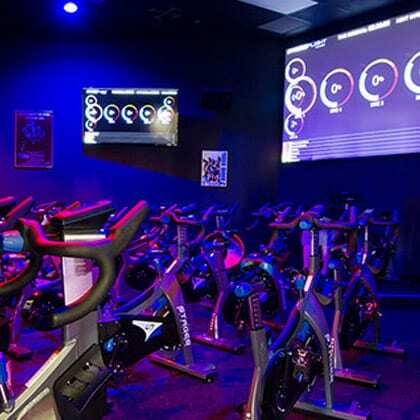 Workout while watching a movie in our Cardio Cinema, an exclusive theater and workout space that combines cardio exercises with top movie blockbusters for a truly unique gym experience. Personal trainers are on hand at all Gold’s family fitness centers to provide the latest workout techniques, and these expert fitness coaches can also map out workouts customized to your long term exercise goals. Our family fitness centers also offer a Kid’s Club, which provides safe and friendly childcare for parents during their workouts. Many of our locations also offer tanning where you can add a golden sheen to those newly developed muscles. Salsa, merengue, and cha-cha! Dance to Latin-inspired rhythms and ramp up your metabolism for increased calorie burn and toned muscles. A great weight loss solution, Zumba is an amazing aerobic workout! Relax and learn the benefits of yoga, a low-intensity workout that focuses on mind/body awareness and intentional movements. Breathe deeply and rely on your instructor to help you stretch, strengthen, and improve flexibility. 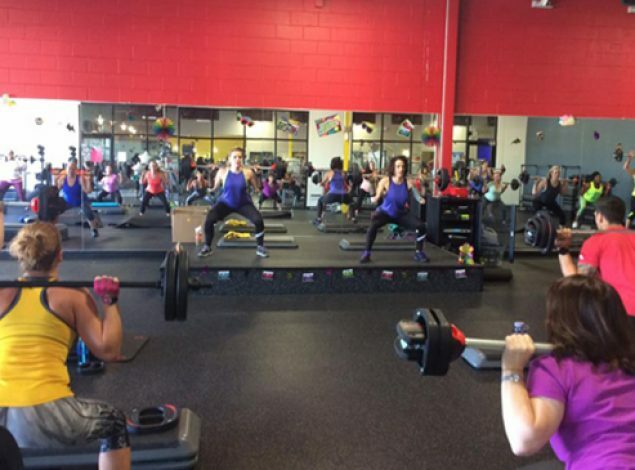 Many of our Maryland gym locations feature Les Mills classes, including BODYPUMP. This strength training and endurance class features motivating music that pushes you to your limits. Meet the challenge!